Moving in to a new space? Or maybe just keen on scouting the town for cool vintage finds to add to your house? 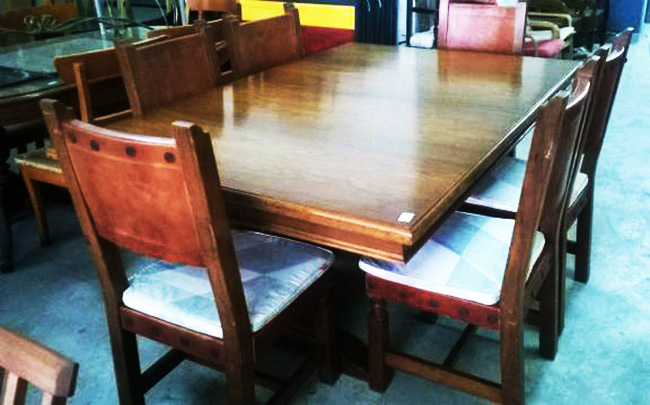 Brand new furniture can be quite expensive, but if you know where to look, you can find affordable and unique second hand furniture around the Klang Valley. 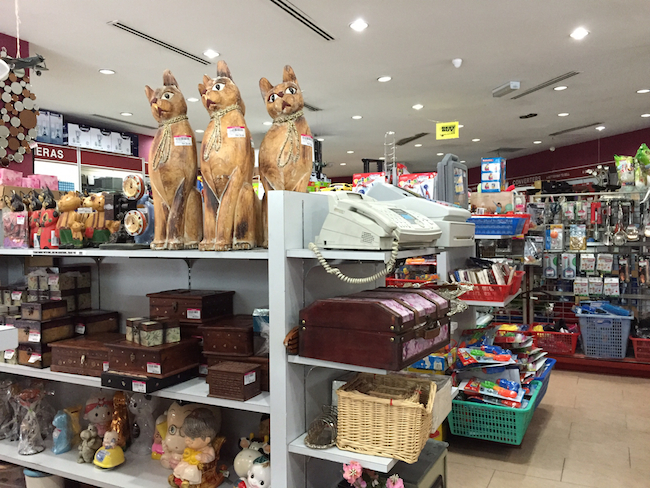 We’ve rounded up a few of the most equipped and affordable secondhand and junk stores in the Klang Valley. 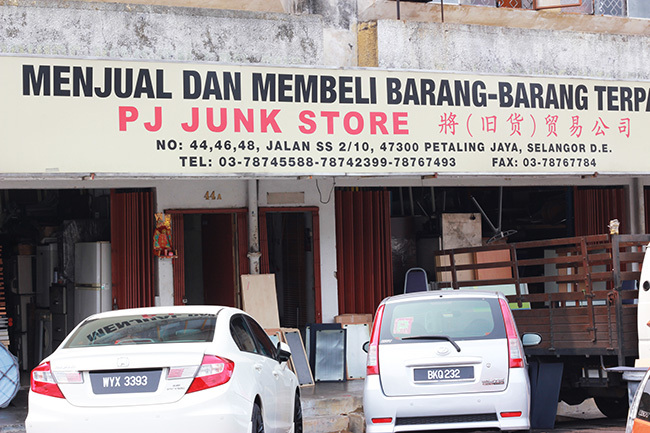 Located right in heart of SS2, PJ Junk Store is a large space filled with affordable secondhand furniture and electronics – from wardrobes, sofas, bed frames, mattresses, refrigerators, microwaves, toasters and even little decorative collectibles. Their plastic stools and simple tables alongside essential electronics range from RM6 to RM50. It may not appear as though they have much, but once you enter the premises and inquire or request for a certain piece, they’re sure to have it, if not, they would at least find something similar. You can also find their items on mudah.my. Sofa price range: RM200 – RM800. PJ Junk Store, No. 44 , 46 , 48, Jalan SS 2/10, SS 2, 47300 PJ. Although Cash Converters has a few branches, one of the best and biggest is the Taman SEA branch, just off the LDP highway. 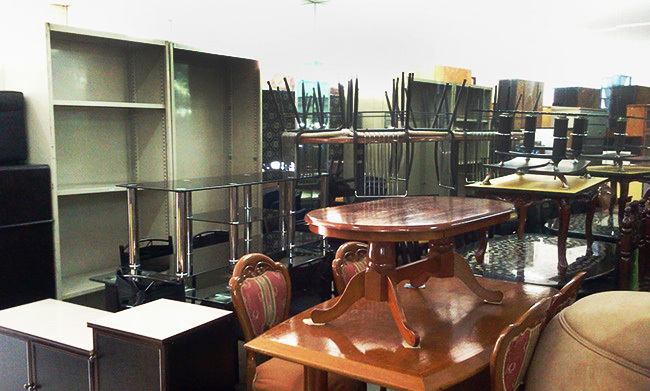 Among the furniture, you’ll find solid wooden chairs from RM150, old office chairs from RM20, and other items like shelves and cabinets. 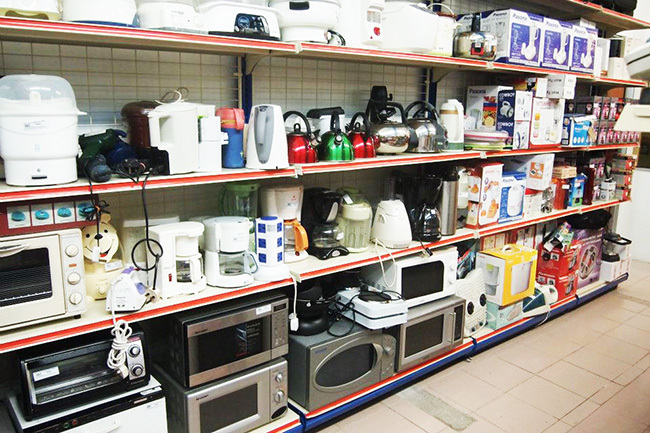 There are also lots of electrical items – rice cookers and standing fans in the range of RM50, for example – as well as decorative ornaments, sound systems, cameras and DIY tools. Some of the items are actually brand new, so you can definitely bag a bargain. Furniture price range: RM20 – RM300. Kedai Kaki Lelong may be a bit more expensive as compared to the rest of the outlets mentioned within this article, but they do hold a vast range of furniture that has either been reupholstered, re-polished, and made to look as good as new. They even offer a range of electronics such as speakers, spinning kits and office supplies/furniture to choose from. Their collectibles go as far back as the vintage chandelier from Masjid Jamek decades ago. Their cutlery such as pots and utensils were all priced from RM6 – RM20. Sofa price range: RM1,500 – RM8,000. Kedai Kaki Lelong, Jalan 19/1b, Seksyen 19, 46300 PJ. Ready for a trip to deepest Ampang? 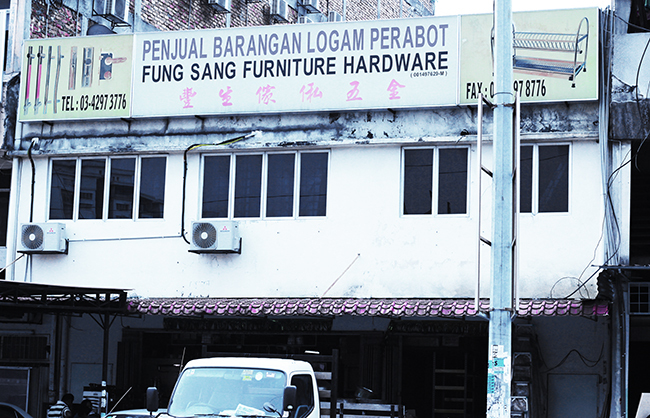 Fung Sang Furniture Hardware does not only carry a large selection of secondhand goods, but also provides tools and other heavy duty hardware items for home decor DIY projects. If you’re looking for basic tools and other basic materials, you’ll find them at affordable rates from RM5 – RM50. Price range: RM200 – RM600. Fung Sang Furniture Hardware, No. 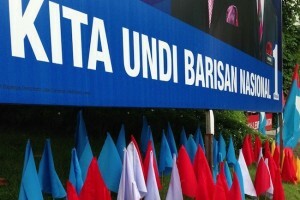 109 & 110, Jalan Besar Ampang, 68000, Ampang, Selangor. Junk King is quite compact but very well equipped. 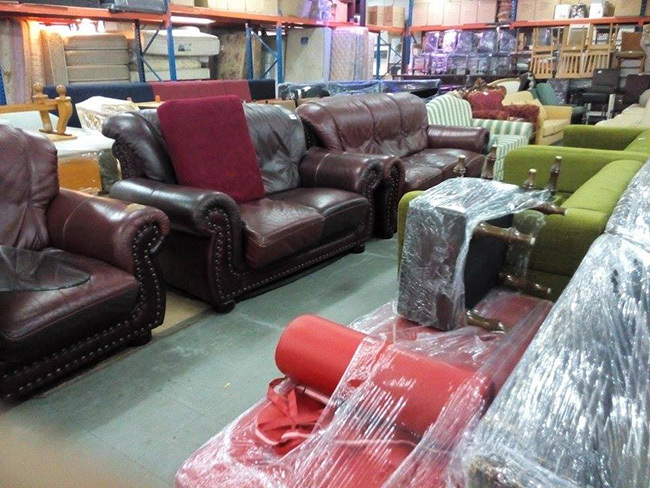 The majority of the furniture and household items are in great condition. They also offer a wide selection to choose from, at both, affordable rates and luxurious rates depending on the materials and design desired. Sofa price range: RM200 – RM2,000. 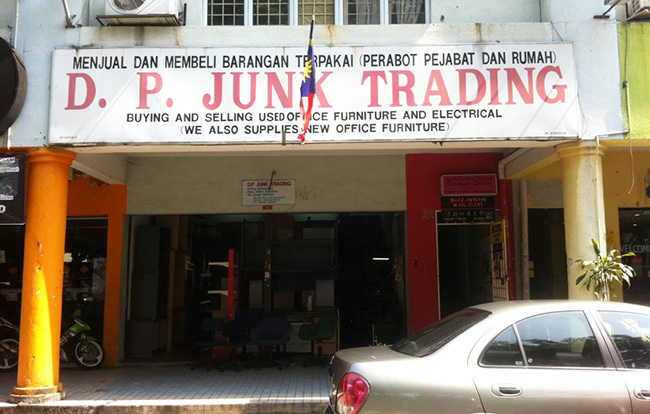 Junk King, 43, Jalan 5/2, Taman Sungai Besi Indah, 43300, Seri Kembangan, Selangor. Before even entering Meng Fong Trading, you will instantly pick up on what they specialize in selling – bamboo and cane furnishing. 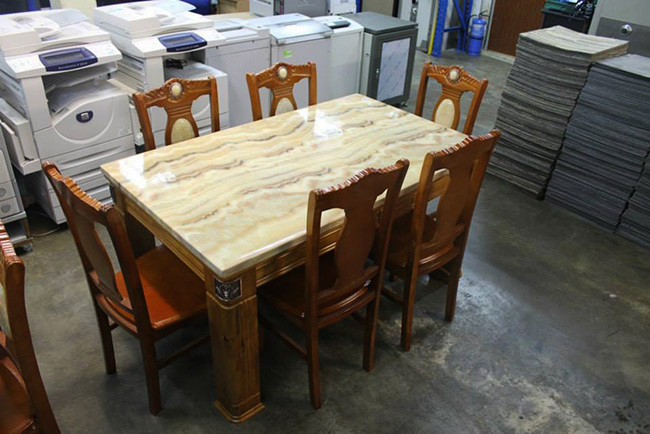 They do carry other various goods such as antiques, mannequins, storage units, and so on, but if you are looking for cane furniture and other restaurant furnishing such as refrigerators, BBQ pits and sinks, you need to check out Meng Fong Trading. Price Range: RM300 – RM2,000. 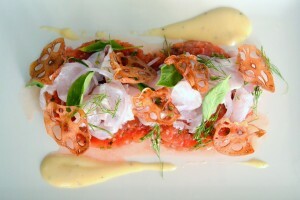 Lot 610 & 611, Jalan 5, Taman Ampang Utama, Off Jalan Jalan Besar Ampang, 68000 KL. Located in an industrial area, it’s no surprise how large the space is and the quantity it carries. It may be a bit far off from town, but it is definitely worth the visit if you are looking for a variety of household or office furnishing to choose from. They even offer office supplies such as shredders, printers and much more. You’d be surprised by the selection. On another plus note, they buy, sell and trade so if you’re looking to upgrade to something old to something different, this would be the place to do it. Sofa price range: RM200 – RM3,000. 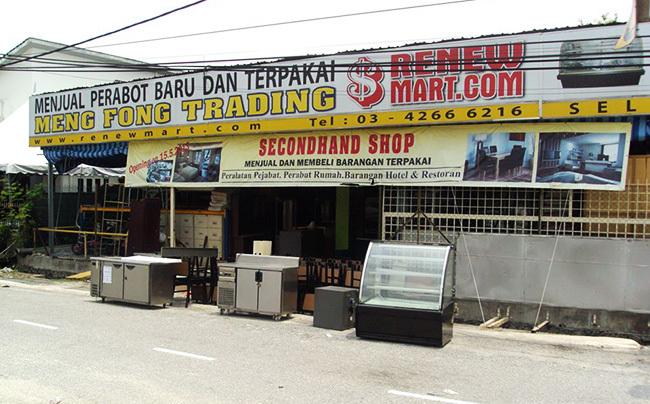 Chai & Chai Trading, 15, Jalan Segambut Pusat, Taman Segambut, 51200 KL. The Bless Shop has a number of charitable outlets from Mid Valley, Subang, Kelana Jaya, and many more. But the outlet that carries furniture is the one located in Crimson Damansara, Kelana Jaya. The furniture selection is limited, but they also have a few curiosities and other household decor items that are well-maintained and are priced at RM5 – RM50. Most of The Bless Shop’s proceeds go to refugee camps, rehabilitation centres and other charitable causes. Furniture price range: RM50 – RM500. The Bless Shop, K-BG-02 Jalan PJU 1A/41, PJU 1 Ara Jaya, 47301 PJ. Buy Sell Trade has outlets in Ampang, Cheras, Subang and many more! Most of them only sell home appliances, electronics and other collectibles. 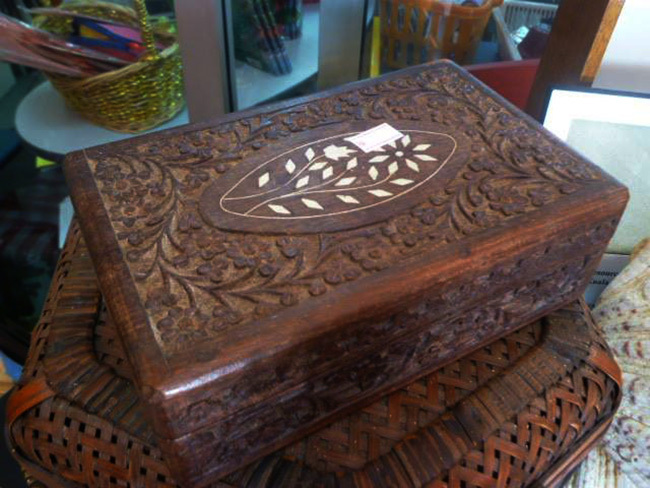 However, the outlet in Shah Alam carries everything – electronics, vintage finds, antiques and even furniture. If you’re looking to refurnish or decorate your entire house, this would be your one stop shop. No. 19, Jalan Singa J 20/J, Pusat Perniagaan Jubli 20, Seksyen 20, 40200 Shah Alam, Selangor Darul Ehsan. Selangor Junkyard is located in Puchong and is fairly large as it takes up three whole shop lots. They have just about everything from home furnishing, electronics and home decor. Be sure to ask around if you happen to be looking for something in particular because they have a massive lot of goods stored in compact areas that you might have missed. Their items can also be found on mudah.my. Sofa price range: RM150 – RM4,000. Selangor Junkyard, 15, 17, 19, Jalan Bandar 16, Pusat Bandar Puchong, 47100 Puchong, Selangor. D.P. Junk Trading sells and buys just about everything and anything – from cars, office furniture, household appliances, antiques, collectibles, right down to basic furniture. They’ve got you covered and sorted at affordable rates similar to that of PJ Junk Store. If you’re lucky, who knows, you might even drive away in a new ride loaded with all of your new home decor and furnishing. Price Range: RM200 – RM3,000. 54, Jalan 1/76D, Desa Pandan, 55100 KL. 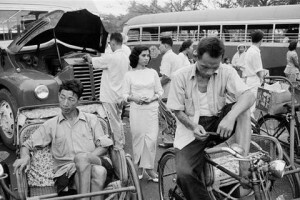 Photos by Kathryn Rao, The Bless Shop, Chai & Chai Trading, The Junk King, Selangor Junkyard.Buy Sell Trade, Meng Fong Trading, D.P. Junk Trading.